Change of government through votes is a beauty of democracy. Nepal embraced parliamentary system under which the legislature elects its leader who is taken as a symbol of nation’s trust and confidence. 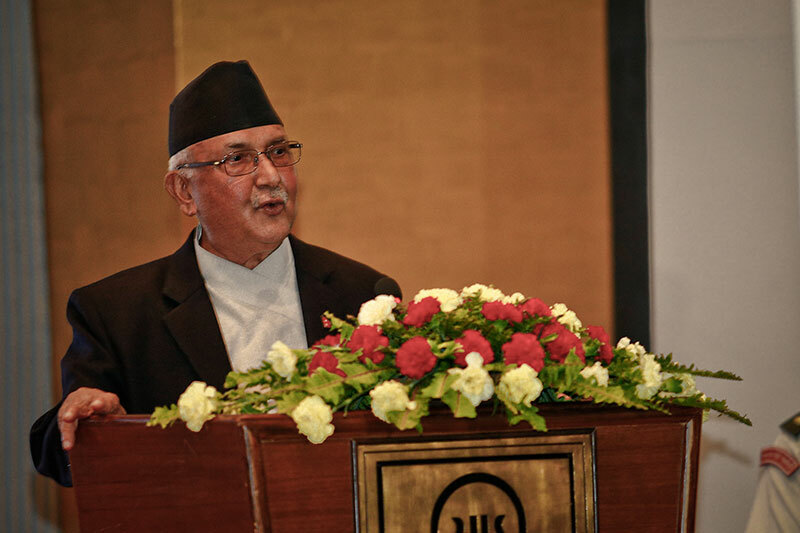 K P Oli became the 38th Prime Minister of Nepal in October 2015 through the same democratic process. UML did not let Parliament conduct its business without first taking up subsidiary bills related to the budget. It threatened to give a fitting reply if the speaker foisted the no-confidence motion. PM encouraged his cadres to demonstrate in the streets in his favor. Partisan interpretation of constitutional clauses concerning the formation of new government also exposed how the ruling elites are sharply divided. It is unfortunate that elites do not stand united even on issues of national importance including national security and foreign policy. 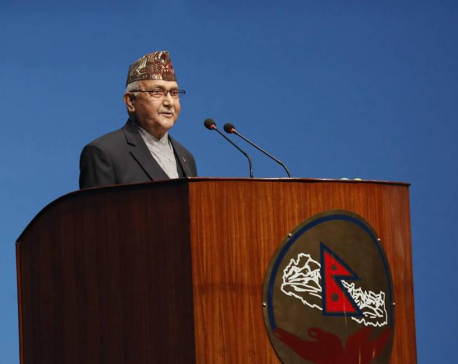 After having realized that all possible routes to cling to power had been exhausted with the departure of coalition partners, PM announced his resignation responding to the questions raised against his government during the deliberations on no-confidence motion. He used the “deliberately included confusion” in the constitution as a pretext to play politics on constitutional provisions. It seems he wanted to prove those who have termed the constitution as incomplete with a bundle of contradictions and ambiguities right. He led the cabinet to recommend to the President to invoke Article 305 to remove constitutional difficulties for the formation of new government, which leading parties and legal professionals have termed as “unnecessary and inappropriate.” They argued that the situation does not require removing difficulties for formation of new government under Article 298. This posturing carries significant implications for democracy and Nepal’s political future. Oli’s government failed to read the writings on the wall. A pugnacious and polarizing Oli had created fault lines and exacerbated divides between Madheshis and Pahades. The ‘nationalist’ PM also unnecessarily dragged India and China into internal matters. However, they have not been provoked Oli’s rhetoric. Both India and China have termed the recent developments in Nepal as ‘internal matter’ and assured full support to the new government. The meltdown of newly created democratic institutions after the advent of democracy in 1990 started with the launching of so-called ‘People’s War’ against democracy. It got compounded with political parties’ fervent desire to fill with their cadres and sympathizers in the state apparatus. In the 26 years of parliamentary democracy, UML has remained in power for 17 years. UML leaders have struck alliance with anyone and everyone for power. It even considered regression as half corrected to get to the corridors of power while rest of the democratic parties was struggling against the autocratic moves of the king. A forensic analysis of past actions is needed to get rid of booby traps on democratic path and prevent electoral democracy from becoming an electoral autocracy. Democracy is sustained only if we build democratic institutions and honor the rule of law to guide our behavior. Problem with Nepal’s democracy is that petty party interests override fundamental democratic ideals that are expected to be preserved and protected. Political changes in Nepal have always been about the institutionalization of democracy. Thus it is our collective responsibility to work for strengthening and institutionalizing democracy for Nepal’s dignity and independence. Will parties jockeying for power learn that pursuit of traditional security objectives takes precedence over promoting democracy and helping friends and neighbors? This was evident from the blockade at the Nepal-India border following the promulgation of an inclusive democratic constitution through an elected Constituent Assembly after seven decades of democratic struggles.